How To Rotate Video In VLC Media Player? 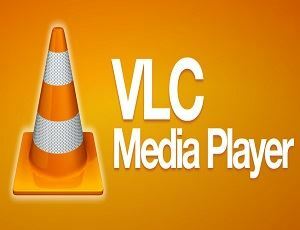 VLC Media player provides tons of unique features. So, This is a favorite media player of many users. Lots of hidden features are available in VLC player. You can also convert, record, and cut the video with VLC player. VLC provides almost every feature to watch the video according to your needs. Sometimes, you may need to rotate the video to watch it. If you recorded the video in portrait mode. After that, when you watching the video on PC, then, you may need to rotate the video. VLC provides the option to do this. You can also flip and transpose the video while playing (Transpose is similar to 90 degrees rotation). VLC media player not only allow us to rotate the video in 90 degrees and 180 degrees. You can rotate video from 0 to 360 degrees, according to your need. So, this is best and unique feature by VLC. Rotate Video From 0° to 360° degrees, according to your need. 1. Open or play any video in VLC Media Player and go to Tools > Effects and Filters or either press Ctrl + E.
2. After that, click on the “Video Effects” and Click on the “Geometry” option. 3. Now you will see two options. The first one is “Transform” and the second is “Rotate”. In Transform option, you can rotate and flip the video by a fixed angle. In Rotate Option, you can rotate the video in any custom angle from 0 to 360 degree. Enable the “Transform” To Rotate, Flip and Transpose the Video in fixed angle. Rotate The Video: In Transform, you can rotate the video by 90, 180, and 270 degrees. Flip The Video: You can also flip the video horizontally or vertically. Transpose: You can also select the Transpose and Anti-Transpose options to rotate and flip the video. Transpose is similar to 90 degrees rotation. But, it rotates as well as flip the video. Enable “Rotate” option to rotate the video to any angle. You can select 0 to 360 degrees angles. Rotate the round button with a mouse to change the angle. Question: Is there any Shortcut key to rotate the video in VLC player? Answer: No, currently there is no keyboard shortcut available to rotate the video. You need to follow above steps. Question: Can I save the rotated video permanently? Answer: Yes, VLC also provides an option to convert the video. Below are the steps to do this. You can convert the video using a VLC player. So, you can easily save the video after rotating it. 1. First of all, you need to set the rotation setting. Open video and follow above steps to rotate the video. 2. After that, go to Media > Convert/Save (Keyboard Shortcut: Ctrl + R). 3. Now click on the ADD button to select the video. After selecting the video file from your PC, click on the Convert/Save button. 4. Select the video format (profile) and destination and click on the “Start” button to save the video. After that, the video will be saved permanently. You don’t need to rotate video again. Note: After doing this, you need to turn off rotation (Transform or Rotate) option. So, Guys, This is how to rotate video in VLC player. You can also save the video permanently after rotating it. The best option is that you can rotate the video to any angle. Just rotate the rotation button and rotate the video according to your requirement.